The Vampyre Heart story book, Vampyre Heart - The Beginning is now available in a printed paper format. The 346 paged A4 styled book can be purchased through the Merch Store link HERE. For more information about Vampyre Heart - The Beginning, CLICK HERE to link through to The Book area in the Media section. Vampyre Heart - The Beginning is also availabe online in a digital format with AmazonKindle. To preview the first few chapters for FREE on AmazonKindle, CLICK HERE now. The long awaited release of the Vampyre Heart story book is over. Vampyre Heart - The Beginning has now been released online through Kindle. You can even download a free Kindle App for your Phone, Laptop, PC or iPad to read the story if you don't have a Kindle reader, and at a bargain price, Vampyre Heart - The Beginning is a story not to be missed. To preview the first few chapters for FREE on AmazonKindle, CLICK HERE now. Following a fantastic night at the Lord of the Grimm event, a few photo's can now be found in the Media Gallery section, courtesy of Photography by Milan. Click here to view the full Facebook photo album of the event. A Night of Macabre, Medieval, Fantasy and Fairy-Tale themed entertainments. Which includes the Medieval Rockstars Serpentyne, Black-Country Steampunk from Birthrite and Gothic Rockers Vampyre Heart. Also some quirky macabre Cabaret from Nigel Osner. Djs Prince Simon of Landmine, McMahon the Blutbad, Grimorg and Dandy Demondaz with be filling the gaps and after the bands playing an eclectic and selective mix of Darkwave, Ethereal, Mitelalter, Goth, Post-Punk and EBM for your dancing pleasure until 2 am. Optional Dress Code: All Sartorial Steampunk, Villainous Vampiric, Fantasy, Fairy-Tale and Fetish Attire encouraged! Tickets Now on-sale! Lucky 7 at just £7, thereafter £9 and £10 on the door, on the night and subject to availability. Vampyre Heart release their latest video of Afraid for the The Ghost of Time. You can watch all videos by clicking through to the Media section. 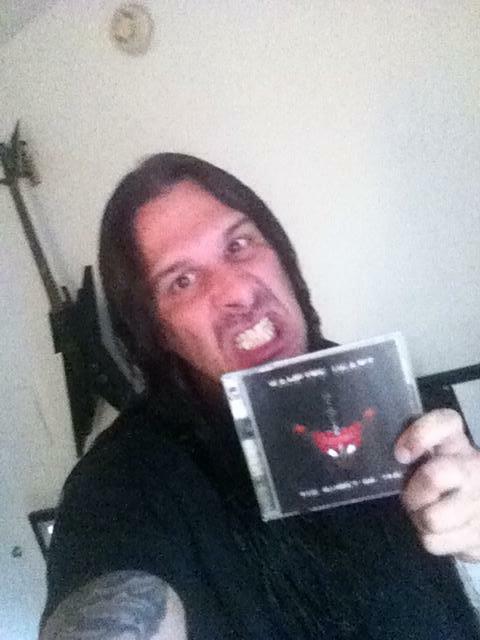 Congratulations to Vampyre Heart fan, Donnie, for winning a copy of the Album CD , The Ghost of Time. Take a look in the new Fan Gallery to see some other happy fans. It could be you. For more information about Vampyre Heart's The Ghost of Time Album, click through to the Music section. You can also click through to the Official Vampyre Heart Merch Store where you can buy your signed CD now. Vampyre Heart are proud to present the launch of their new website. The website will evolve through a period of development to ensure a positive user experience. Be sure to check back for new features and updates.